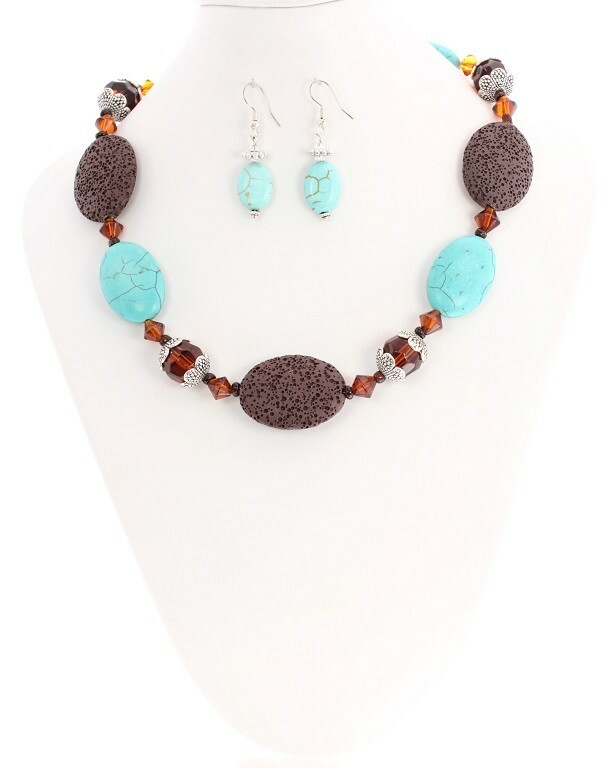 ‘Eternity’ Chocolate Volcanic Lava Necklace with Turquoise semi precious stones and silver-dipped spacers. People are very intrigued by the fact that this is a Lava Necklace! Not only that, but this is a Chocolate Lava Gemstone Necklace! The Turquoise Gemstones highlight and make this Semi Precious Stone Necklace even more striking.